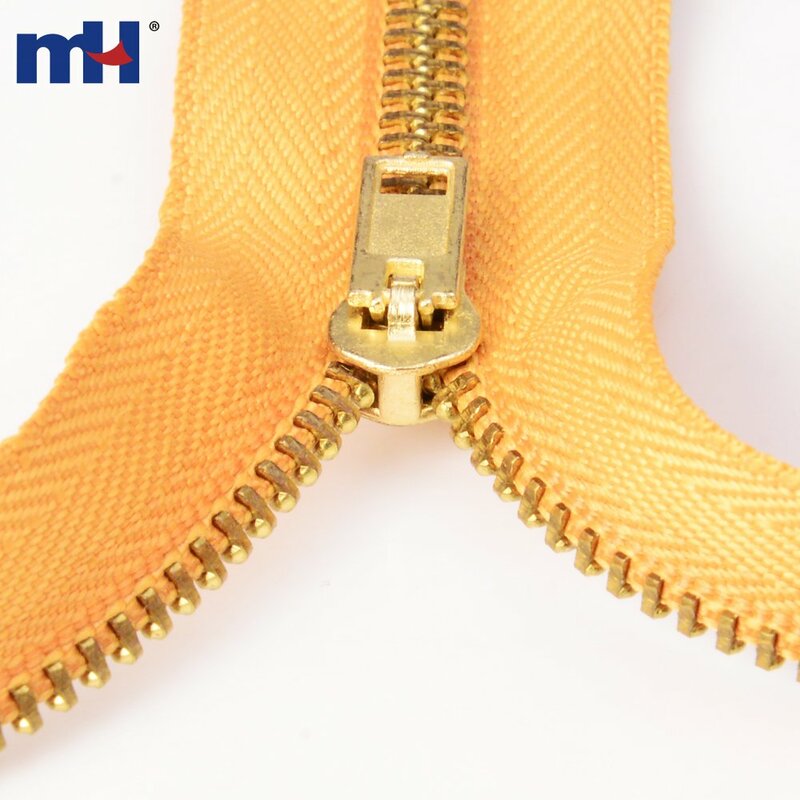 #3 brass closed-end jean zippers are made of lighter-weight metal. 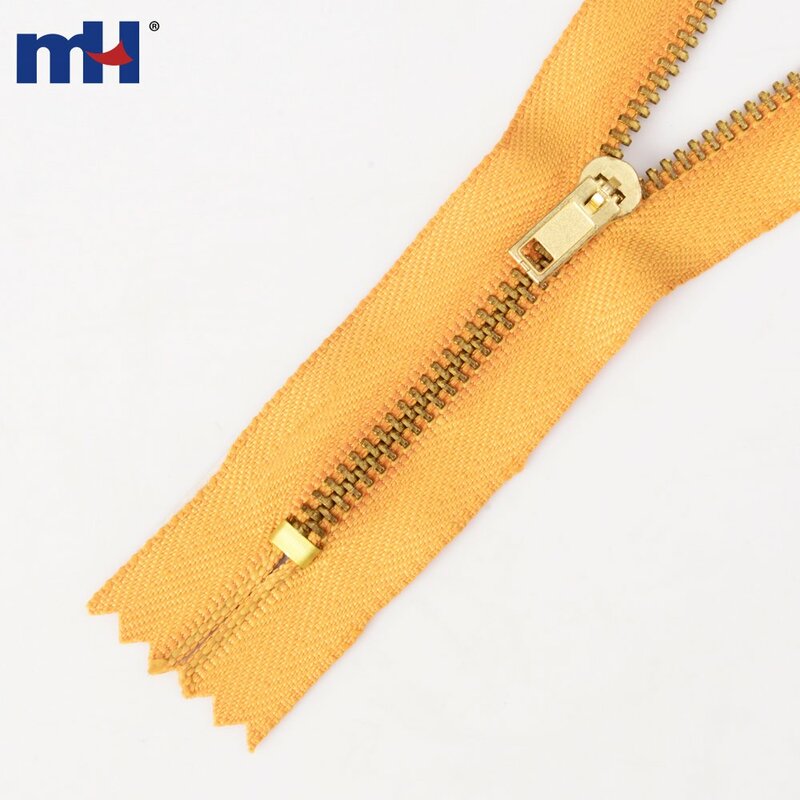 Used on many designer jeans, #3 brass jean zippers are closed at the bottom, and do not separate. 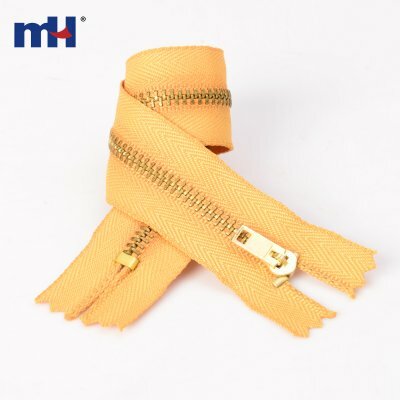 The zipper teeth have a shiny gold/brass finish. 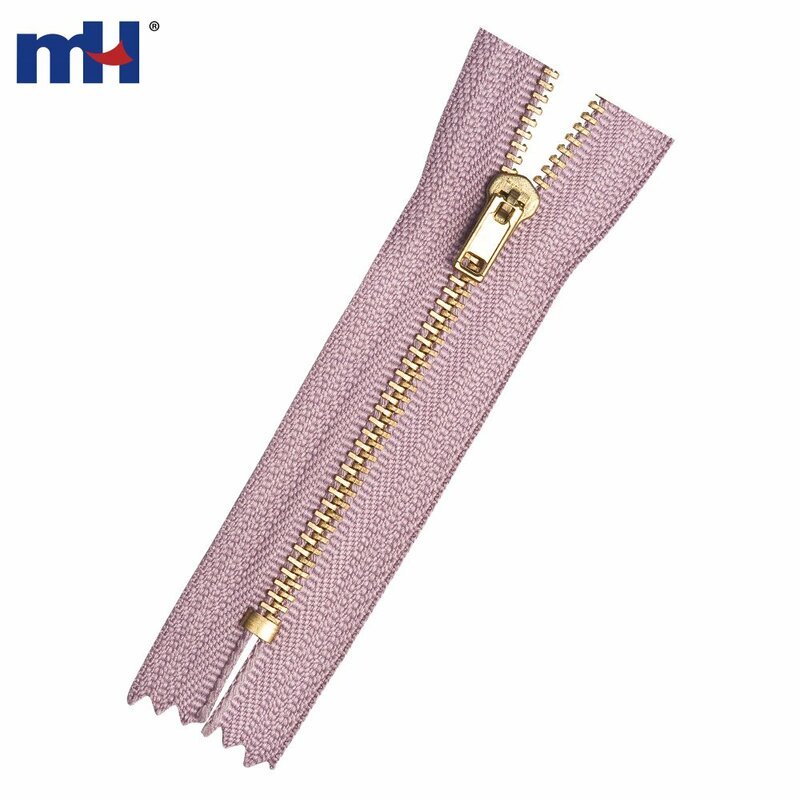 These zippers can be used for purse & denim jean jacket pockets as well.